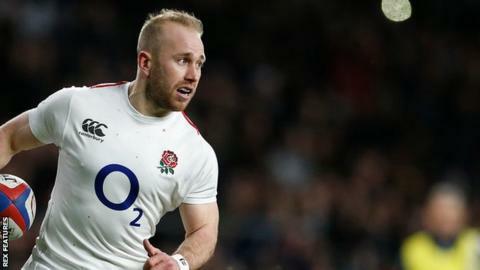 England and Wasps scrum-half Dan Robson is facing a spell out of action after suffering with blood clots. The 27-year-old, who won his second cap in last weekend's Six Nations victory over Italy, was set to be named on the bench for the match against Scotland. His club Wasps have said "it is too early" to confirm when he will return, casting doubt over his World Cup hopes. "Dan Robson suffered blood clots which arose spontaneously earlier this week," Wasps said in a statement. "He is being evaluated and treated by specialists at the moment. At this stage it is too early to give a return-to-play date." Robson was replaced in the England squad to face Scotland on Saturday by Saracens half-back Ben Spencer, with fellow scrum-halves Danny Care and Richard Wigglesworth are also currently out through injury.